Kentucky students will use a dazzling array of high-tech instruments to learn about agriculture when the Kentucky Department of Agriculture’s new Mobile Science Activity Centers (MSAC) hit the roads this fall. Agriculture Commissioner James Comer commended a quartet of south-central Kentucky students for their strong runner-up finish in the Great American Seafood Cook Off: 4-H Edition in New Orleans earlier this month. The first Kentucky Farm to School Junior Chef Cook Off will take place during this year’s Kentucky State Fair on the Gourmet Garden stage, where the fair’s annual Cast Iron Chef Competition is held. For the 50th consecutive year, the tradition and excitement of the Kentucky Country Ham Breakfast & Auction comes alive during the Kentucky State Fair. Wineries from Paducah, Lexington, Versailles, and rural Warren County took the most coveted honors at the inaugural Kentucky Commonwealth Commercial Wine Competition in July in Louisville. Before Kentucky Agribusiness Development Team 5 left the U.S. for its service in Afghanistan, it was their desire to bring agricultural leadership education to Afghanistan. Susan Schneider has roots in Louisville but most recently has lived and practiced law in North Carolina. While there, she served on both the Board of Directors and Executive Committees of the North Carolina Horse Council. 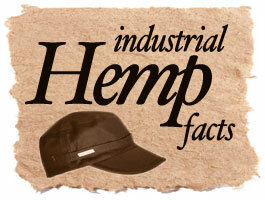 An estimated 55,700 metric tons of industrial hemp are produced in more than 30 countries worldwide each year.